Our job is to not to close business. Marketing is not sales. Marketing is marketing. If you’re saying to yourself, “Okay, if marketing is marketing, what does that mean?” then let me share a story with you. They had run dinner seminars. They had a Podcast.They even ran direct mail programs. Before I go any further, I have to ask, what is your closing percentage? That’s right, marketing brought them to you, but you still have to convince them to work with you. You have to sell yourself, and your product. Selling is not a bad word. Selling is an integral part of so many businesses… it’s how we all survive. 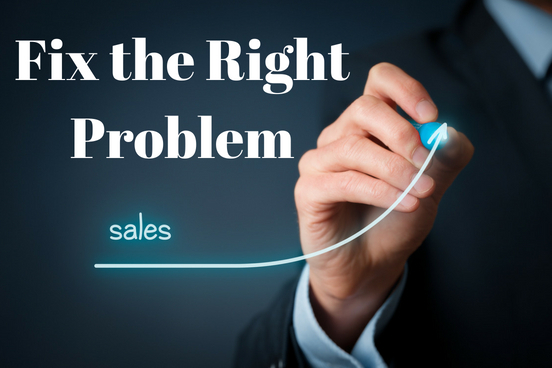 Selling doesn’t have to be just about bottom lines. It can be about providing people with the best option to help themselves.